Innovative Splashbacks are luxury Australian Made colourback & digitally printed acrylic splashbacks & wall panels - supplied to homes and businesses across Australia.. Innovative Splashbacks are the perfect choice to add modern seamless style to virtually any vertical surface - both wet and dry. - including showers, bathrooms, bath surrounds, kitchens, laundries, foyers, commercial fit-outs & feature walls. With our specialty being acrylic splashbacks, we offer the choice of colourback (rear painted) & digitally printed acrylic splashbacks and wall panels. Using the highest quality acrylic/polymer available on the world market, bar none, our custom acrylic splashbacks look EXACTLY like glass splashbacks without the hefty glass price tag - minus the risk of breaking! Being half the weight of glass, 25 times stronger, quicker and easier to install than both glass and tiles make Innovative Splashbacks The Affordable Luxury. 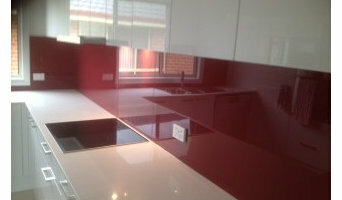 Versatile, durable and stylish and thats just the start of the benefits Innovative Splashbacks have to offer. They are: * Cut to size so you only pay for what you need plus saving time & $$$ during install * You can chose a colour from our designer range OR we can custom colour to suit your decor * Quicker and easier to install than glass and tiles and other acrylic /polymer splashbacks on the market * We can digitally print any high resolution image, graphic or pattern to create breathtaking splashbacks and wall panels * Can be used both indoors and outdoors due to the unrivaled world class acrylic we use * Delivered direct to you nationwide * Ideal for DIY'ers as Innovative Splashbacks can be cut and trimmed on site using normal wood working tools. Its little wonder our luxury splashbacks have become the splashback of choice for architects, interior designers, builders and through to the DIY enthusiast. 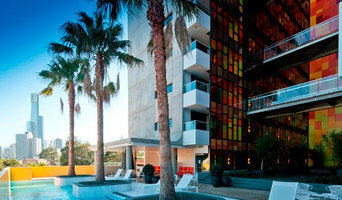 The Axiom Group is an established organisation with over a decade of experience in the Glass and Construction Industry. Through providing Architectural Glazing Systems we are able offer a wide range of products to a comprehensive clientele. Australian owned with a global network of partners; we are 100% customer focused with a commitment to quality & continual advancement. This commitment to quality includes our product range, manufacturing standards and relationships with our associates. 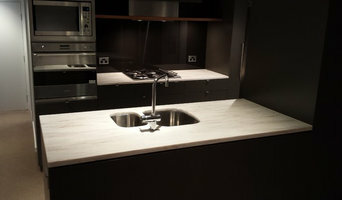 Working Surfaces is a supplier and installer of benchtops, cabinets, cabinetry doors and related products. Our specialties include Laminate, Timber and Solid Surface Benchtops as well as vinyl wrap, 2 pac (Painted) and Acrylic doors. We supply to the trade and DIY. Nullarbor Sustainable Timber is one of Australia's leading suppliers of Recycled and Sustainable (eco -friendly) timber products. Sourcing timbers from all over Australia, we specialise in Timber Posts & Beams, Cladding, Decking, Flooring, Dresssed Timbers, Timber Bench tops & Tables and One Piece Timber Slabs. Located in two locations, Williamstown (Melbourne Showroom) and Echuca/ Moama (factory). Established since 1981. About Hybideck wood plastic composite Geelong Hybrideck composite decking has been trusted and valued by Australians for many years. Hybrideck composite decking systems have been created with the Australian market in mind. It’s a perfect match for the special needs of our challenging Aussie conditions. We know the product well and understand the benefits it brings to Australians and our love of the great outdoors. 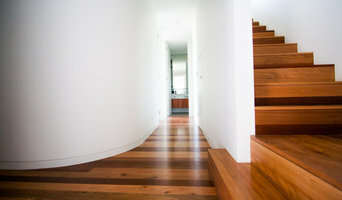 It is low maintenance, environmentally friendly, non-toxic, easy-to-install and guaranteed for 15 years – what more could you want?” Originating in Geelong, Victoria, Hybrideck is now truly a National company with warehouses across Australia servicing clients from as far afield as Broome, Darwin, Cairns, Hobart, Adelaide, Albany and everywhere in between. We deliver Australia wide with transport costs being determined by the panel of transport companies we use or we are happy to assist you in arranging your own transport. Our original specialty areas were the Geelong region, the surf coast, the Bellarine peninsula and Melbourne but now deliveries from our warehouses service every capital city including Adelaide, Perth, Brisbane, Sydney, Canberra and regional areas throughout Australia. Asbestos Help is a reliable and renowned asbestos removal company in Melbourne, we have been major players in this industry for the last 20 years. In these years we have been successful in forming a loyal clientele that is highly satisfied and happy with our services. Our team at Asbestos Help is well aware of the fact that, asbestos is very dangerous when is dusty,soft ,friable and can damage your lungs when inhaled/breathed.This is the main reason why we provide professional asbestos removal Melbourne. Our team knows all the pros and cons of this procedure and makes sure that the work is carried out in a safe and beneficial manner. You can trust us with your property as we have almost 20 years of experience in this industry and these many years of service has been helpful in providing us with a deep knowledge and understanding that helps us to provide our valued clients with superior quality of services. With our team at your aid you can have the confidence that you have find the right match for your work, our team aims at providing excellent services in every single task they take at hand. At the French Oak Trading Company we offer architects, designers and professionals in the building industry, the unique opportunity to access: - Quality reclaimed antique French Oak boards, beams, cladding and parquetry, - Extra wide new French Oak planks, - Antique French Oak bespoke furniture fashioned by craftsman who are passionate about up-cycling and materials re-use, - Salvaged antiquities, including reclaimed antique encaustic tiles, reclaimed French terracotta tiles, eclectic design elements and antique doors. All our products have been sourced by our team of professionals and reclaimed with a focus on quality, with an understanding of the inherent beauty and/or artistry in the product and to fuel individuality, creativity and innovation within your design experience. Red Circle Solar import and distribute Evacuated tube solar hot water systems and stainless steel storage tanks. Specialising in wood fire boosted solar hot water and retro fit solar hot water applications. Based in Williamstown Victoria, Red Circle Solar can supply specialist solar hot water products to all of Australia. JVN is an Australian company that designs and pride itself in supplying the very Latest Premium Tapware, Showers and Accessories with an emphasis on modern design and clean lines. Elite Crete Systems offers the most complete and extensive line of products and solutions for the decorative concrete and industrial flooring industries. In this category you’ll find companies that source and provide everything you need to build your Geelong, Victoria home from the floor up, from timber flooring and synthetic grass to plumbing supplies and door hardware. Some companies will stock all kinds of hardware, while others will have areas of expertise. Raw materials and how they’re applied – including everything from metal roofing and timber panelling, to board-formed concrete and porcelain tiles – can provide infinite design possibilities. If you’re working with a Geelong, Victoria builder, architect or designer, they will likely have favourite building materials they like to work with, as well as favourite suppliers. Ask them for examples of how the material has been used in past projects, and seek out alternatives for comparisons. Find building supplies in Geelong, Victoria on Houzz. Scroll through this page to find companies that source and deliver building supplies in your area. You can browse their portfolio, read reviews and see how other tradesmen and homeowners rate their customer service, expertise and product.